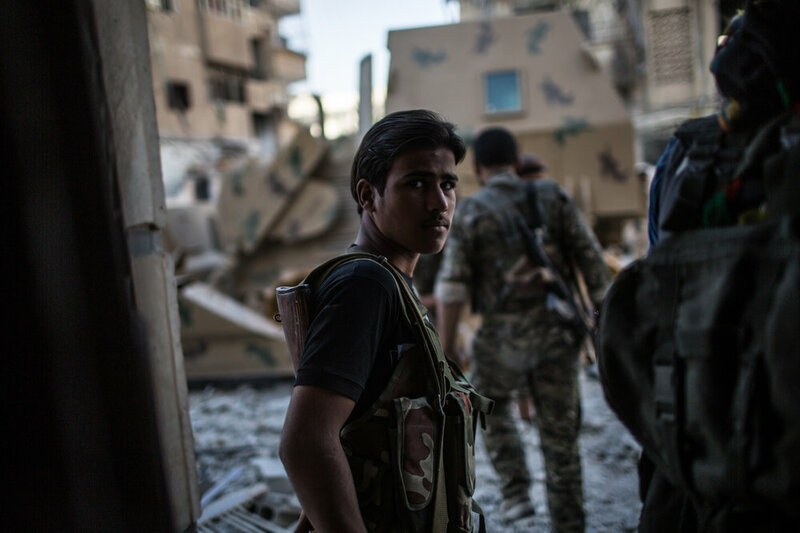 The deserted streets of the once stronghold of the self-proclaimed ISIS caliphate bare witness of the fight that is nearly to its end. 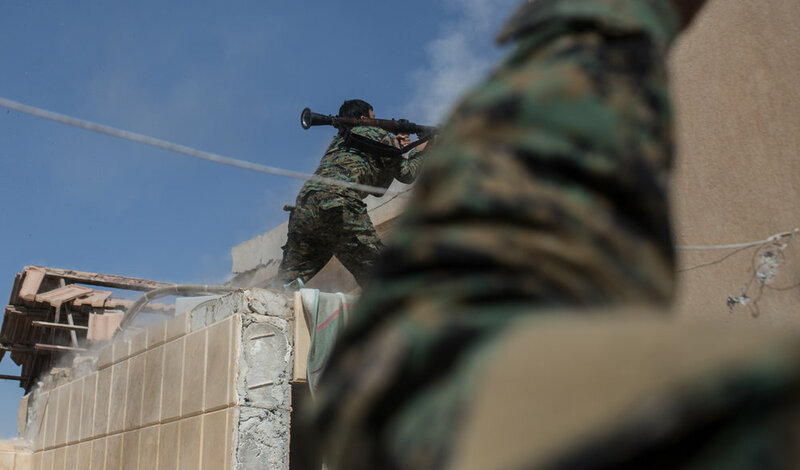 After almost 1 year of a military campaign in Raqqa province of the SDF, backed by US troops on the ground in Syria and with air support of the coalition, in July the final offensive of the city begun. 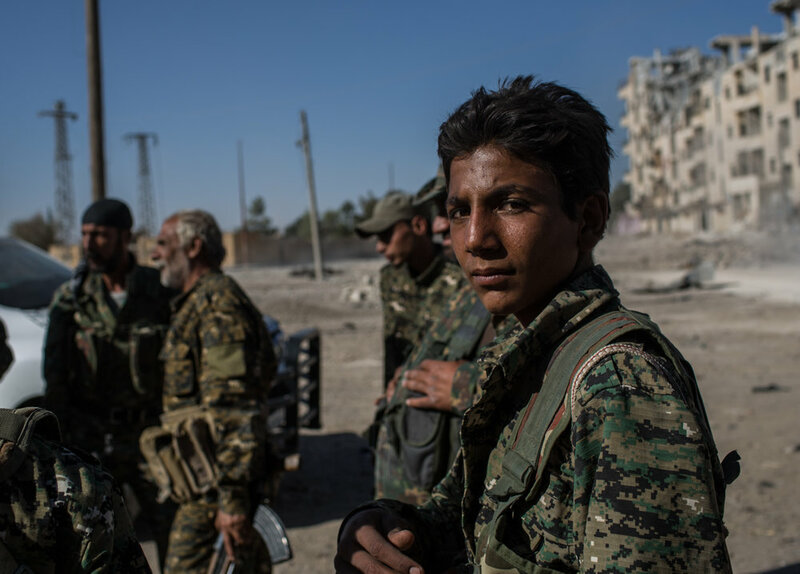 The SDF is a group created and led mostly by YPG Kurdish militias and integrated with arab fighters and fighters from other minorities. 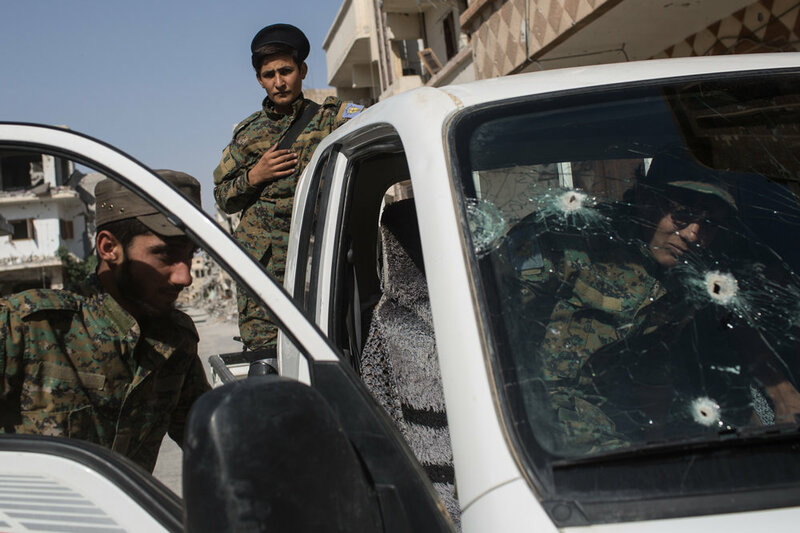 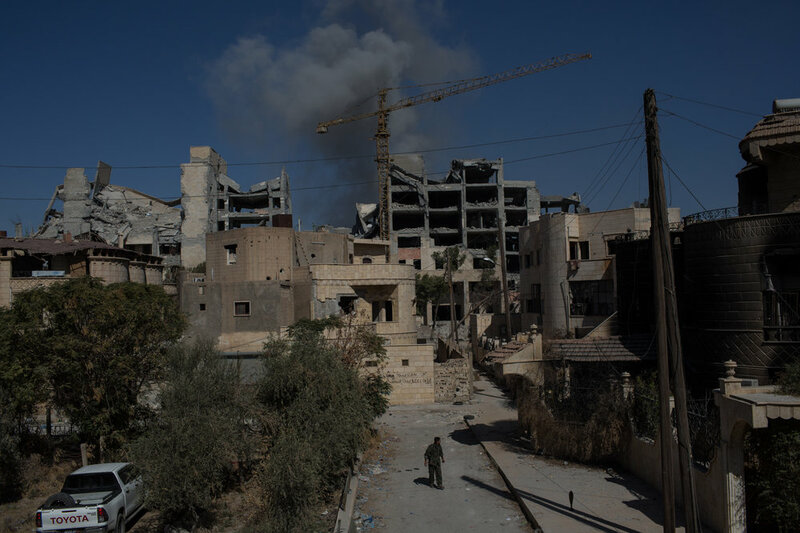 Without a great number of men and armored vehicles the SDF had managed to quickly take control of areas of the city. 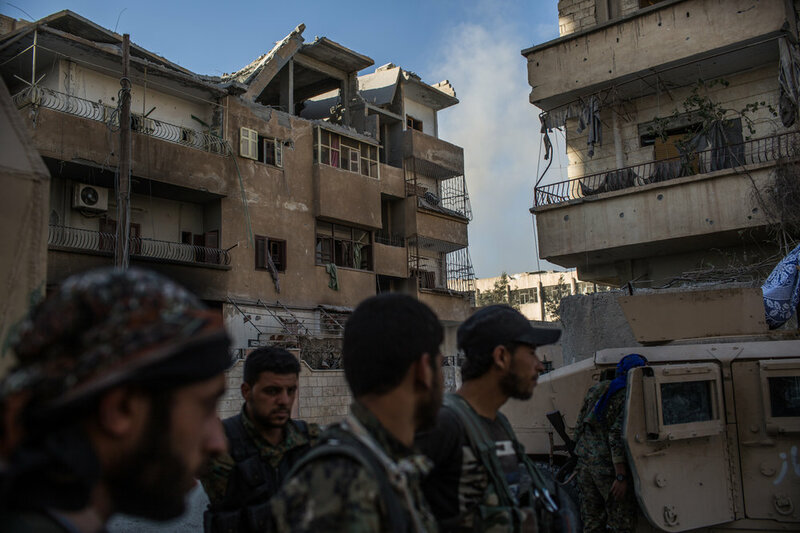 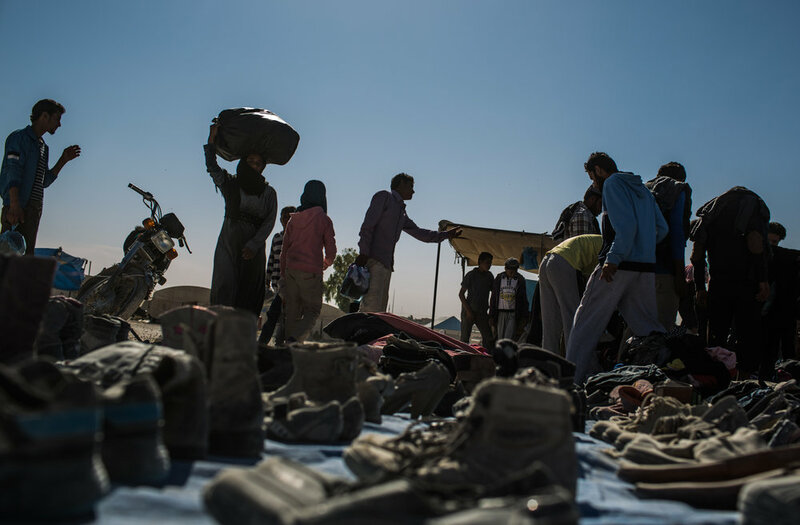 Civilians have been fleeing the city since the offensive began but is feared that almost 1500 civilians are still trapped in the National Hospital and the Stadium, which are surrounded by SDF forces. 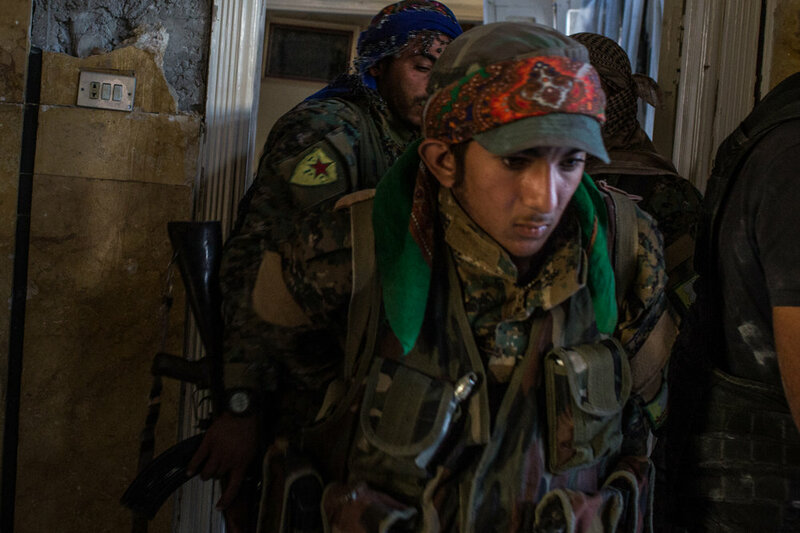 Areas that are not yet taken by the SDF are hit daily by airstrikes and shelling attacks. 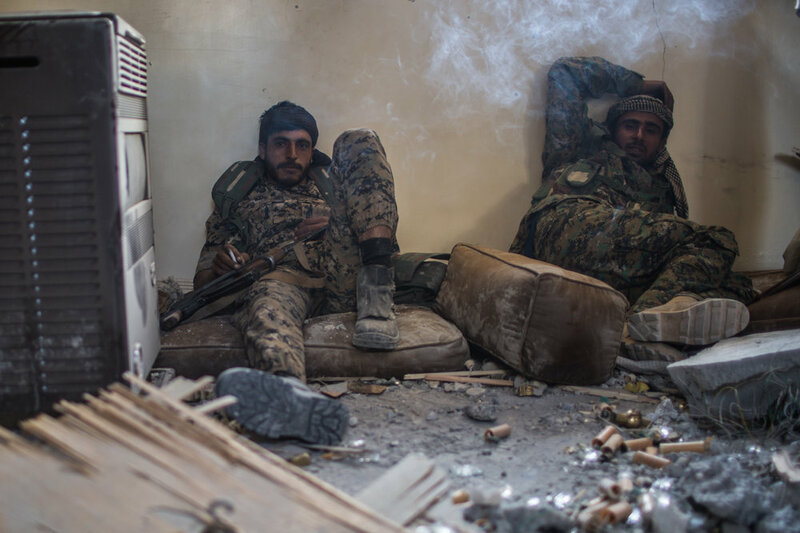 ISIS defends its position with snipers and occasional shelling, but the area is feared by frontline commanders to being rigged with IED’s. 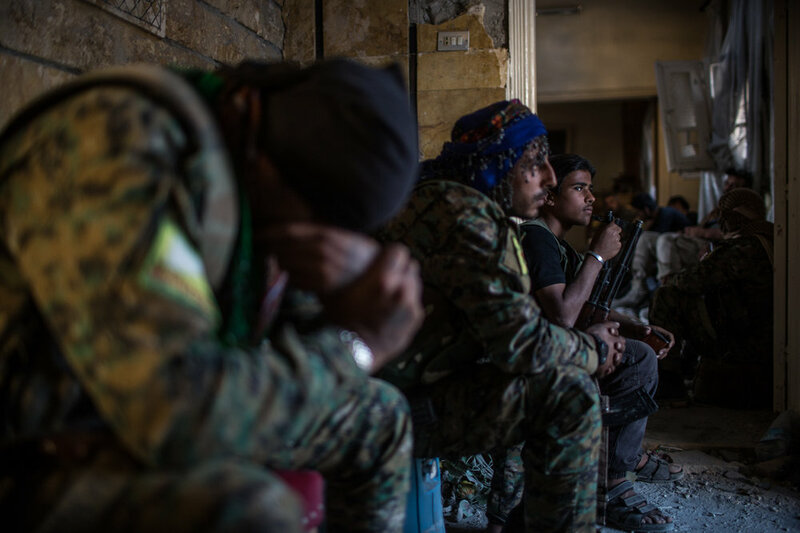 Exhaustion and the will to end the fight is reflected by the majority of foot-soldiers in the west and east frontlines of the battle of Raqqa, a will shared by commanders but that has been halt by the presence of two focus groups where there still a large number of civilians trapped by the fight.